The film had the biggest opening ever for an Australian documentary, overtaking the opening of Bra Boys in 2007. The film has also had the biggest opening for a documentary since Michael Jackson’s This Is It in 2009. The documentary also had the biggest cinema footprint of any Australian documentary in history, hitting 220 screens over the opening week with plans to extend into a third week. Now Australians have the chance to own the documentary, with pre-order of the Collector’s Edition DVD and Blu-ray release which includes never before seen footage and booklet, available from 6 September, and the film will then hit shelves in time for the Christmas gifting season on 14 November. The film will also be available to purchase digitally on 14 November. The feature documentary gives audiences an up close and personal insight into how the once unknown boy, James Dixon Swan, became the household name and Aussie icon we know today as Jimmy Barnes. Acclaimed director Mark Joffe (Jack Irish, House of Hancock, The Man Who Sued God) is thrilled with the response from the film and is excited for the home entertainment release. leave “The response from fans and the general public has exceeded all our expectations and we’re amazed cinemas are extending their screenings into a third week. The support has been phenomenal,” Joffe said. The film is produced by CJZ with principal funding from Screen Australia, with the assistance of Create NSW. 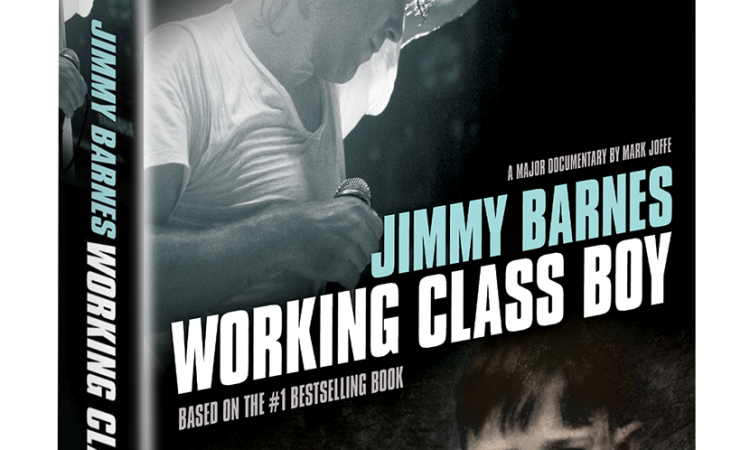 Working Class Boy – The Soundtracks is also available through Bloodlines Music and Jimmy Barnes is gifting his royalties from the album sales for this year to help drought relief efforts. Jimmy Barnes: Working Class Boy is available for pre-order through Universal Sony Pictures Home Entertainment from 6 September and will be released on Blu-ray, DVD and Digital on 14 November 2018.like this ?